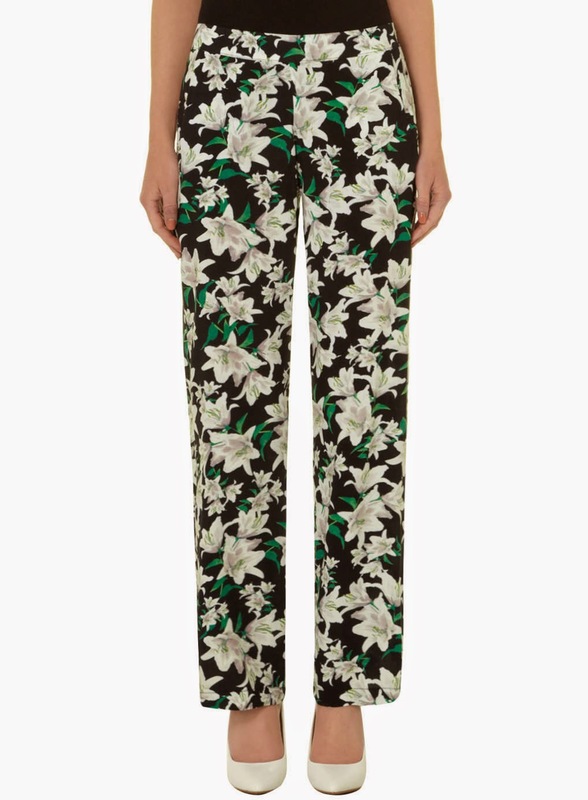 Style Theory: The Palazzo Pant, released every year but is having a real moment this summer...perfect for warm summer evenings, floaty, cool and undeniably comfortable. A top in a scuba/neoprene fabric works well as it holds it's shape and is extremely structured. 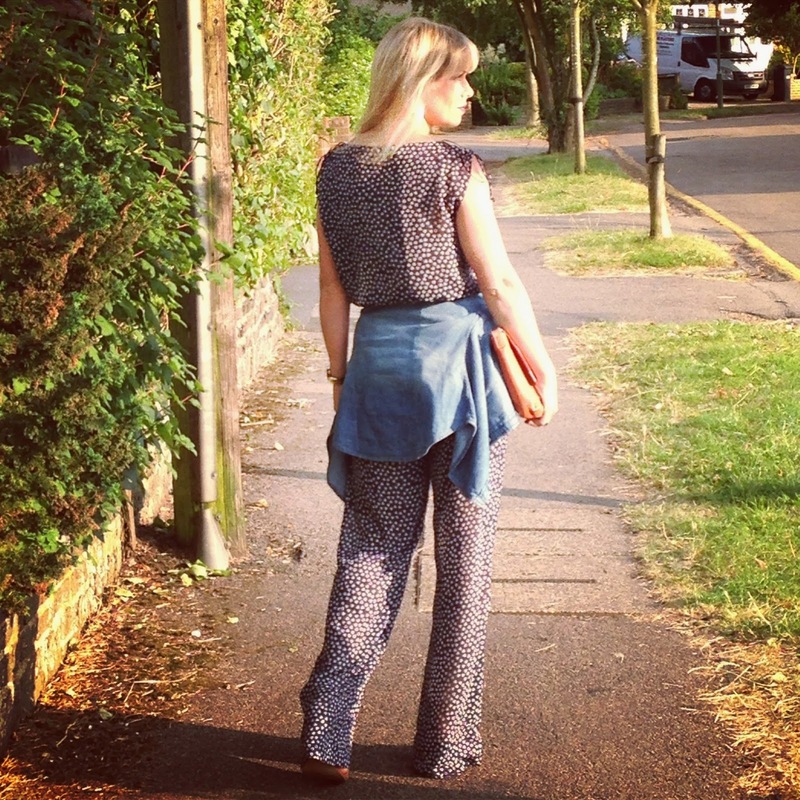 Or buy a palazzo pant jumpsuit..easy to wear, no matching needed. Add a denim jacket or a tailored blazer that fits in at the waist and sits at the top of your hips to keep the silhouette of the trouser long and lean. Wear with heels if possible, they will elongate your legs. And with a denim jacket and my trainers...not as flattering but far more practical for chasing after the kids..will be visiting the dry cleaners soon to get them taken up. 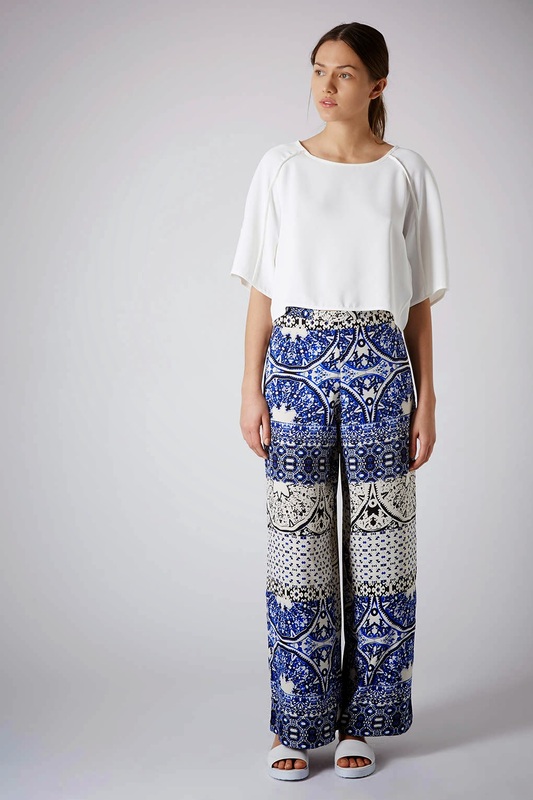 So are you finding the Palazzo pant a perfect summer trouser? 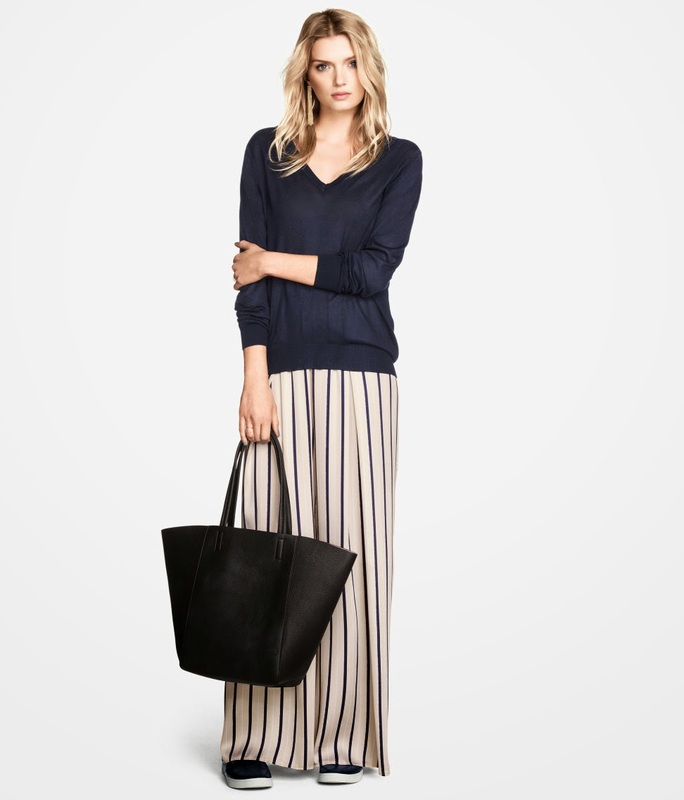 Do you already have some hidden in your wardrobe? 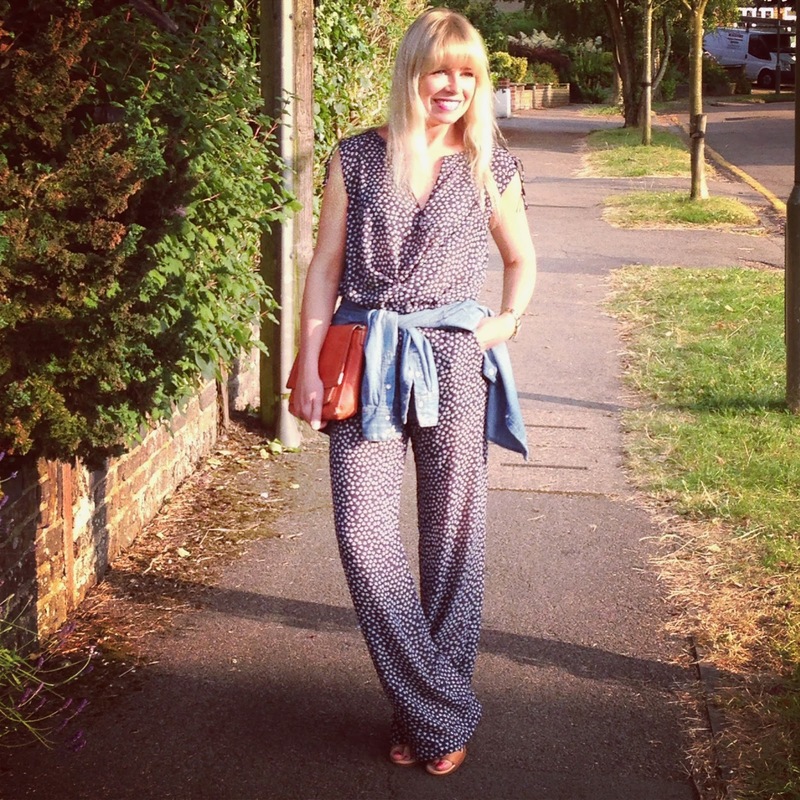 Your jumpsuit is gorgeous! Yes take it up so you can wear more with flats - it's too good just for heels! Loving that look on you. I used to wear palazzos a lot back in the day, but I'm so used to skinnies now, that all that fabric seems strange around my leg. But for summer hols there is nothing better than a pair of palazzos and a vest top! Is there anything that you can't wear Frances? That jumpsuit looks brilliant on you - I hate to think how many inches I would have to lop off that to get that to fit me! 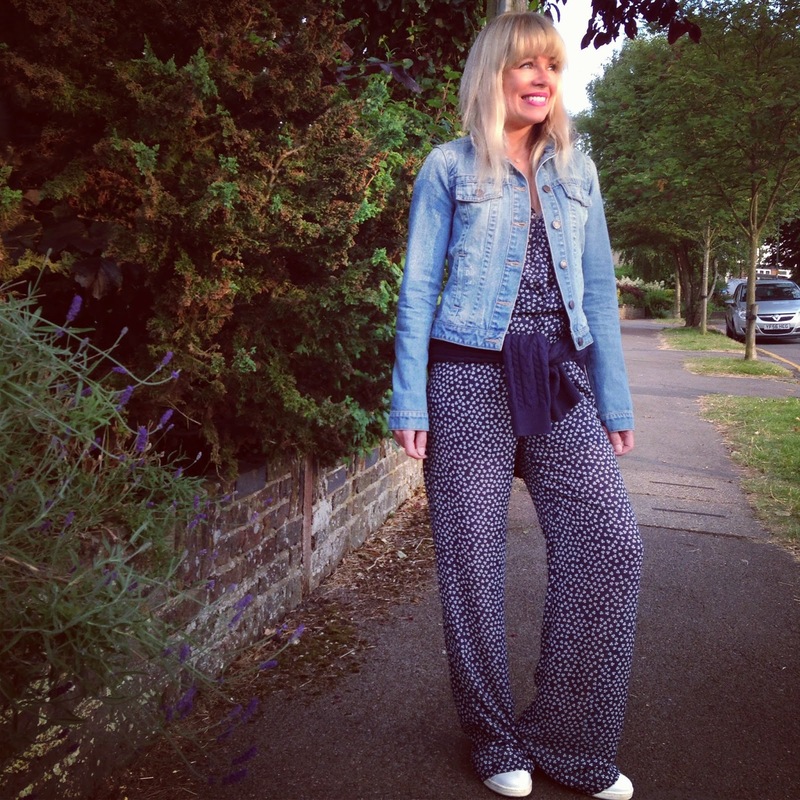 You look amazing in the jumpsuit! I have never got on very well with this style but will revisit! 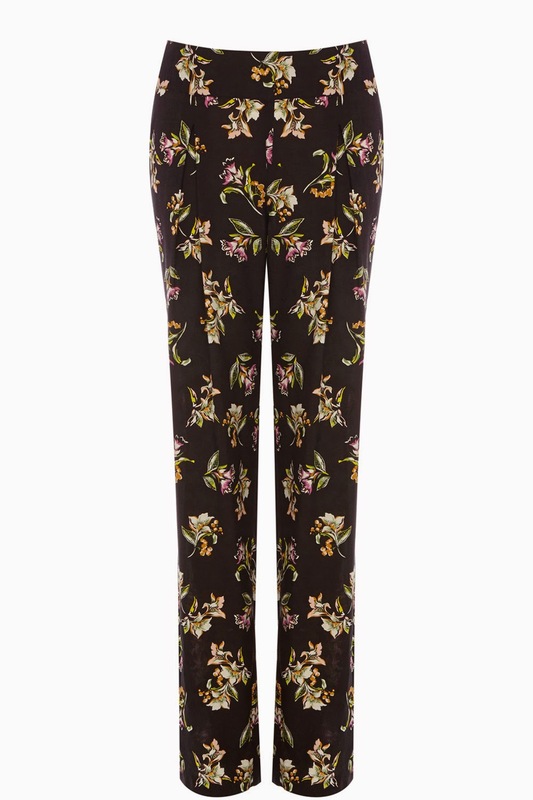 One thing I don't have is a par of palazzo pants!!! Must invest and thanks for the share!